From real-time relay broadcasts of live gaming competitions to enhanced online, PC and console game options, Samsung Smart TVs, including the full Samsung QLED TV lineup, have been attracting gamers and TV lovers alike as a comprehensive entertainment hub for gaming and other media services. Starting this week, Samsung will begin offering real-time relay broadcast services for popular games including Battleground, StarCraft and League of Legend (LOL) in the U.S., Canada, and Korea for owners of Samsung Smart TVs released after 2015. 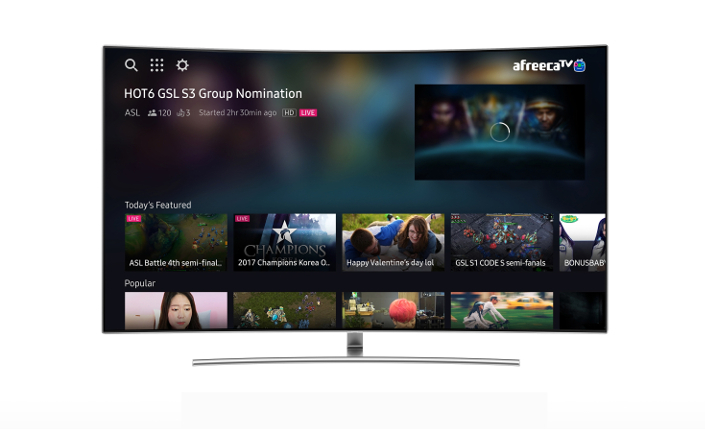 With Samsung partnering with popular Korean P2P technology-based video streaming company AfreecaTV, the service will allow viewers to enjoy live competitions of professional games streamed in the highest resolution on Samsung Smart TVs once the AfreecaTV app is installed. 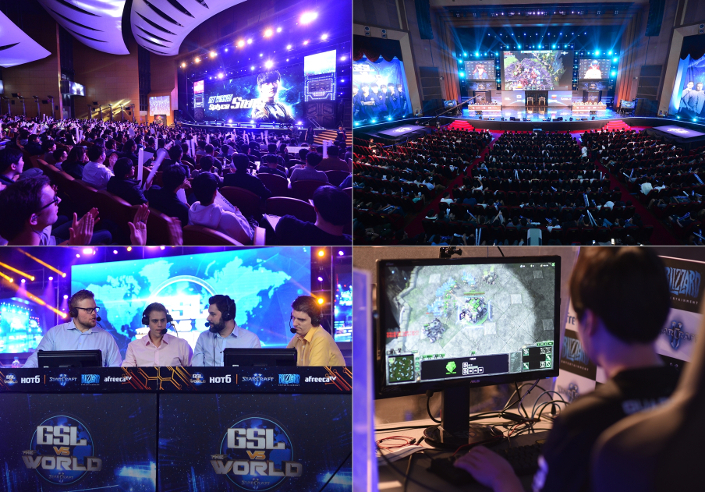 Among the regular live broadcasts, Korean StarCraft leagues feature as a highlight of the service with their contribution to the global e-sports phenomenon. Samsung Smart TVs users will be able to enjoy StarCraft league games remastered in UHD resolution, in addition to several other games. The real-time broadcast service will also be subsequently launched in other European and Asian countries from early next year. Samsung is expanding its Smart TV services to ensure users can enjoy more games. The Samsung Smart TV Smart Hub menu has a “Gamefly” service that contains more than 100 games including casual, shooting (FPS: First-Person Shooter), sports, real-time strategy (RTS), role-playing (RPG) and other genre titles. Users can play simple casual games with a remote control or smartphone, and more intensive RTS and RPG titles by plugging in a game controller. Also, in collaboration with Valve, Samsung has launched the Steam Link app enabling Steam subscribers to enjoy thousands of PC games directly on their Samsung Smart TV screens. 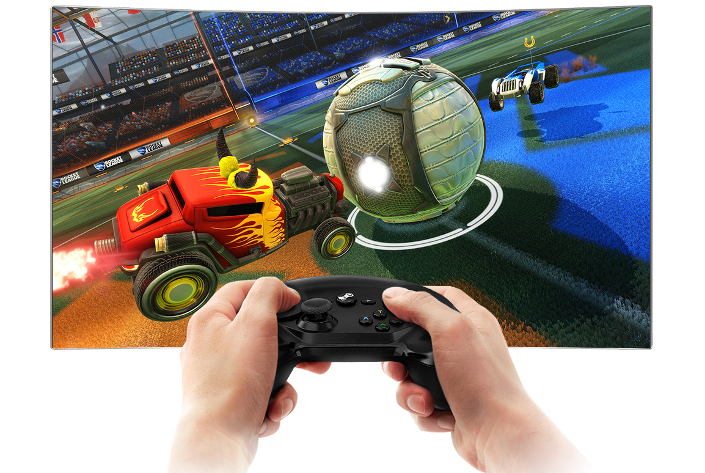 Users can play Steam games on their Samsung Smart TVs by activating the Steam Link app, and after their TV and PC have been connected to one another via wired or wireless internet connection. After launching in August 2017, the service is currently available in 55 countries including the U.S. and U.K. 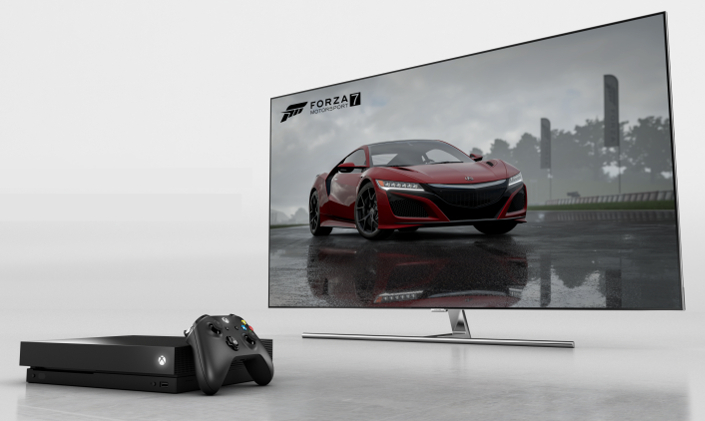 Finally, Samsung recently announced an exclusive U.S. marketing and retail partnership with Microsoft to utilize Samsung QLED TVs as the official 4K TV partner for the highly-anticipated Xbox One X. The partnership kicked off at E3 (Electronic Entertainment Expo) 2017 in June as attendees experienced, for the first time ever, breathtaking 4K HDR gaming on Xbox One X and Samsung QLED TVs. Gamers will be able to experience the power of Xbox One X on QLED TVs at various Xbox and Samsung marketing and retail activations throughout the U.S. Consumers will also see a custom Samsung TV spot showcasing Xbox One X and QLED TV together that will run nationally around the launch of Xbox One X this fall. Samsung QLED TV continues to win attention from across the gaming industry for its game-optimized features, including best-in-class 4K HDR screen, short input lag of 20 ms (millisecond) and the ability ensure longtime game play with no image retention or burn-in. In addition, Samsung QLED TV automatically recognizes peripheral devices connected to the TV, and also consolidates the usual tangle of multiple, complex cables into one single, transparent optical fiber cable. The TV also offers voice recognition technology via its remote control so users can easily initiate the TV’s game mode to enjoy optimized graphics and sounds. As Samsung’s Smart TV technology, and QLED TV lineup, continue to trail blaze the industry, Samsung will continue to push the boundaries of a TV to a comprehensive entertainment hub for enjoying and consuming various types of content.